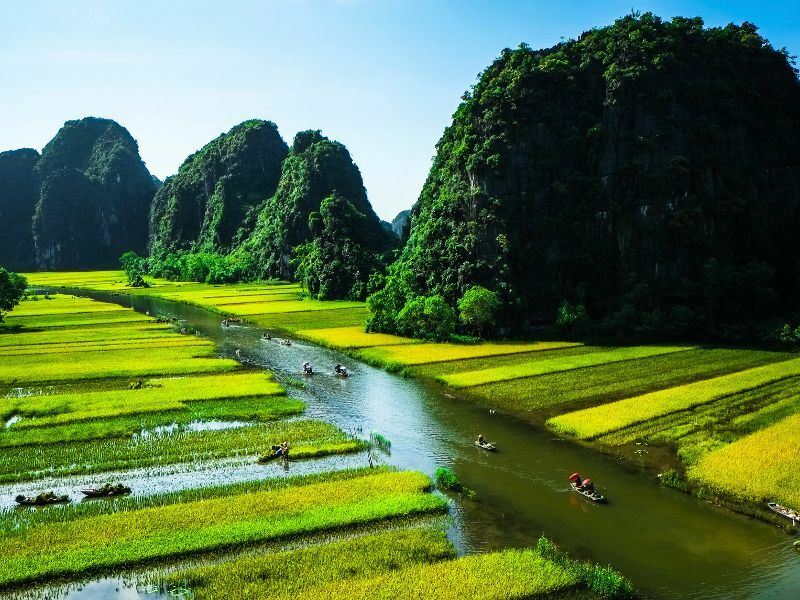 Vietnam is a traveller’s dream, offering everything from mountains and iconic rice paddies to frantic cities and historic towns, tropical islands and national parks. The country is known for its delicious food and established backpacker route which runs the length of the country, from the northern capital Hanoi to the southern hub, Ho Chi Minh City. Planning a trip to Vietnam? Find out about everything from flights to visas, vaccinations and when to go in this first-timer’s guide. Travel in January and February to experience Vietnam’s biggest festival, TET, the New Year’s celebration. However, book your accommodation in advance and don’t plan to move around during TET, as hotels get booked up and transport, shops and restaurants shut down for the holiday. Vietnam has a tropical monsoon climate that varies from region to region. 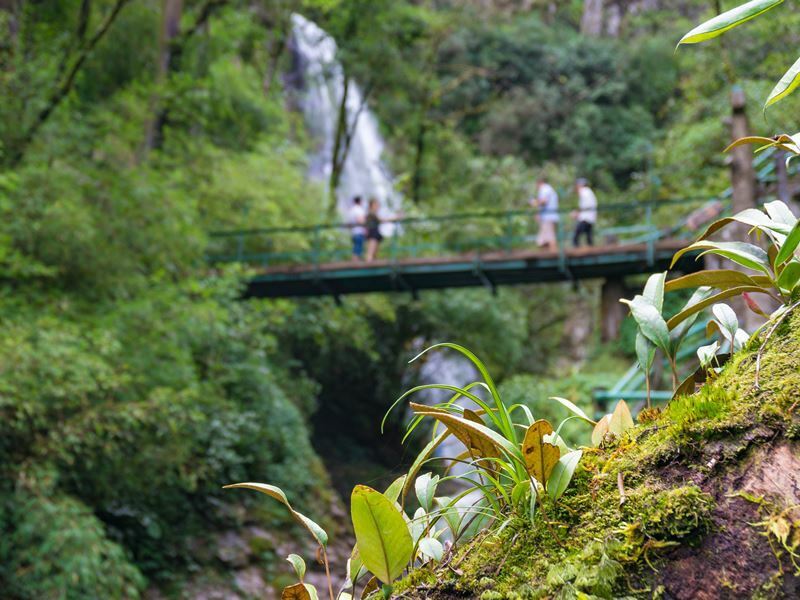 In northern Vietnam the weather is hot, humid and rainy between May and October and cool and dry from November until April. Southern Vietnam is hot all year-round and the rains come between May and October. In central Vietnam, January until August is hot and dry while it’s warm and rainy between September and December. Direct flights from London Heathrow to Hanoi take just over 11 hours, while flying to Ho Chi Minh City takes 12 and a half hours. Flights are operated by Vietnam Airlines and go three times a week. 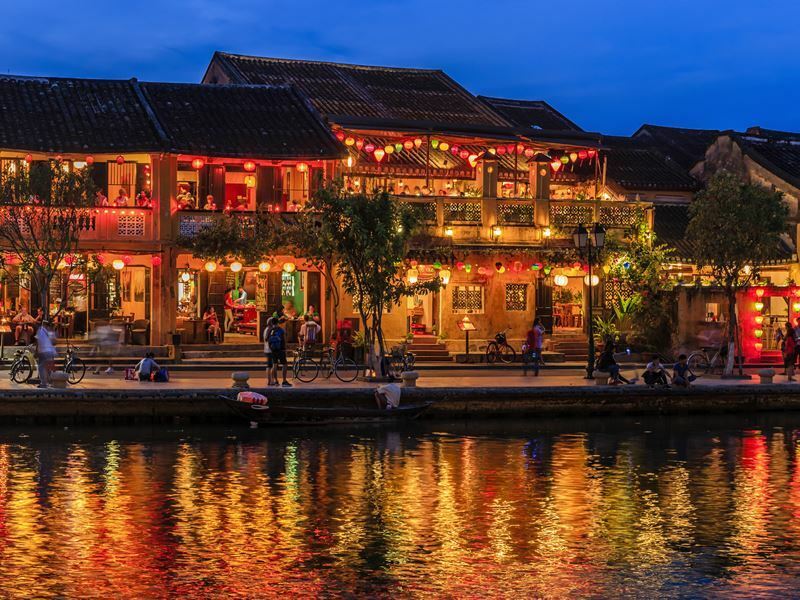 Connecting flights to major cities in Vietnam are cheaper yet longer and available from several UK airports with a range of airlines including Cathay Pacific, Singapore Airlines, Emirates, Qatar Airlines and Etihad. These connecting flights tend to stop in Hong Kong, Dubai, Doha, Singapore and Istanbul, spend a few days in one of these destinations to break up your journey. Once you arrive in Vietnam, it’s cheap and easy to get a taxi to your accomodation, many hotels offer free pickups. Fancy seeing more of Southeast Asia? Combine your trip to Vietnam with a visit to neighbouring Cambodia, Laos or Thailand, all are just a short flight or a bus ride away. Make sure your passport has at least six months validity and it’s a good idea to print out proof of your onward travel arrangements. • Internal flights – domestic flights go to and from popular destinations such as Hanoi, Ho Chi Minh City, Danang, Nha Trang, Hue, Dalat and Phu Quoc. 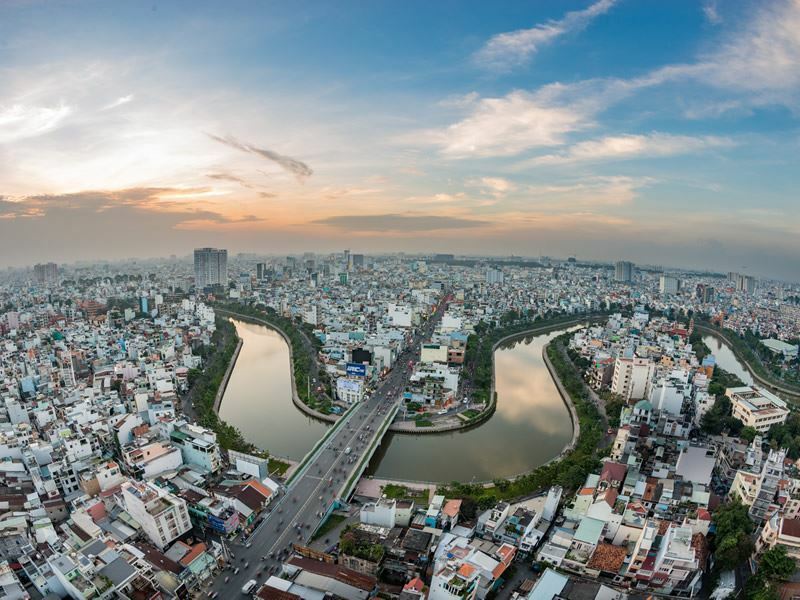 It takes just two hours to fly direct from Hanoi to Ho Chi Minh City. Flights often cost less than £50 one-way and are a good choice if you have limited time in the country. Top airlines include Vietjet Air, Air Asia, Vietnam Airlines and Jet Star. • Train – Vietnam has a railway line that runs the length of the country. Trains link major destinations from Hanoi to Hue, Danang, Nha Trang and Ho Chi Minh City. 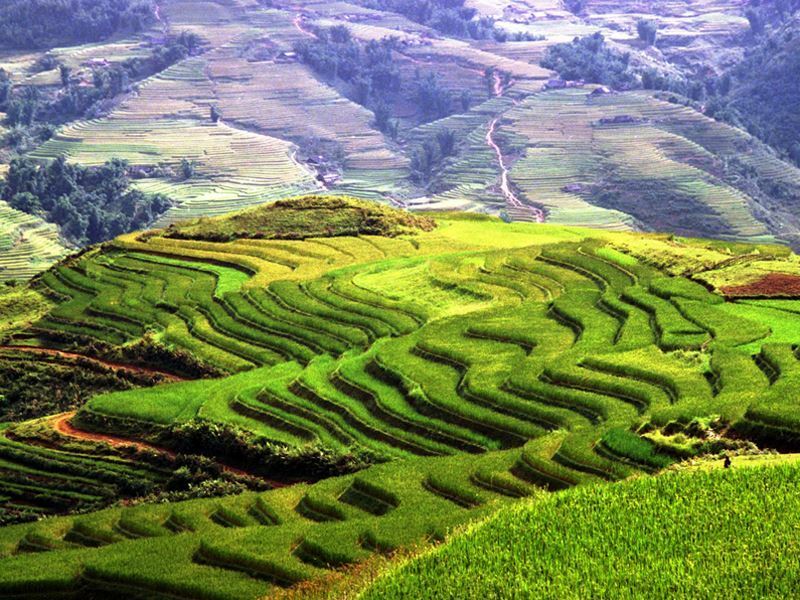 You can also travel east from Hanoi to Haiphong for Halong Bay or north to Lao Cai for Sapa. Vietnam Railways offers four classes: hard seats, soft seats, hard sleepers and soft sleepers. For more luxurious sleeper options from Hanoi to Lao Cai choose Orient Express Trains. 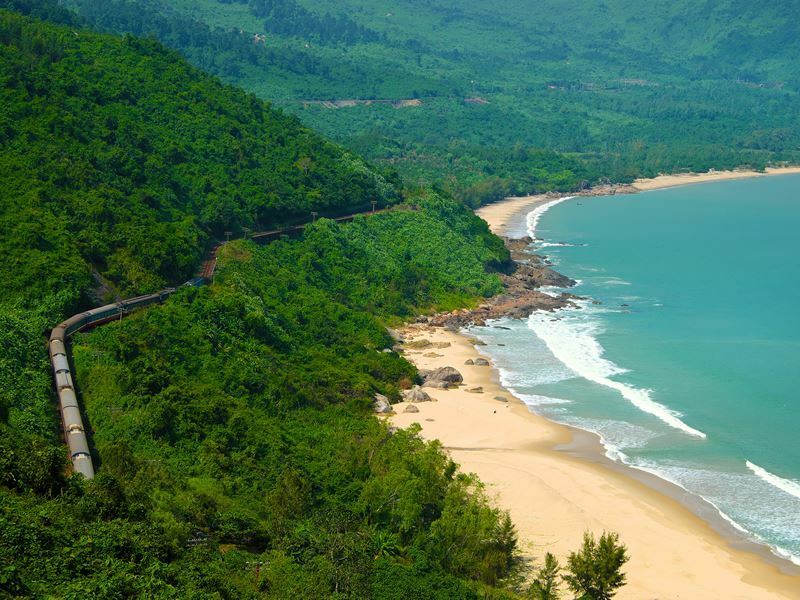 Trains allow you to travel with locals and enjoy the stunning Vietnamese countryside, particularly on the most scenic stretch of railway between Hue and Danang, which runs along cliffs overlooking beaches and the South China Sea. Trains usually have air conditioning and a food service, other operators include Livitrans and Violette. Tickets can be booked at the station, online or through your hotel. • Bus – there’s an extensive bus network in Vietnam and it’s the cheapest way to travel. Options range from super-cheap local buses to fancy private tourist and sleeper options. You can buy tickets directly from the bus station, through your hotel or online. The most comfortable delux options are run by The Sinh Tourist and Mai Linh Express but be warned that most buses in Vietnam play loud music, films and some even have karaoke machines. If you want to save money, you can buy an Open Ticket, available from tour companies, which allows you to travel the length of the country by bus, hopping on and off when you choose. • Boat – overnight cruises are common in UNESCO-listed Halong Bay and in the South, you can take a scenic boat trip around the Mekong Delta waterways. Snorkelling and diving trips are available from beach destinations like Nha Trang, the Cham Islands and from Phu Quoc. • Motorbike – Vietnam is a classic destination for experienced motorcyclists with an International Driver’s Permit and insurance. Motorbikes can be rented almost anywhere in Vietnam but the roads are notoriously hair-raising, so only trained drivers should travel by bike. As an alternative, there are guided tours where you can ride with an experienced biker, the most famous is Easy Rider. The currency is Vietnamese Dong and ATM’s are easy to find across the country. Many will charge a foreign transaction fee though and your UK bank may have its own charges, so check with them before you travel. If you’re exchanging cash in Vietnam, do so at an official money exchange counter, otherwise it’s illegal. Vietnam uses either 110 or 220 volts, with a frequency of 50Hz. You’ll need a European-style, two-pinned flat or round plug adapter or a three-pinned round adapter. Malaria isn’t common in Vietnam except in some southern provinces and rural areas. Dengue Fever and the Zika Virus are present in Vietnam, so you should be vigilant in avoiding bites. Use repellent with DEET, cover up in the evenings and seek medical help if you notice symptoms such as fever, headache, nausea and aching muscles. Vietnam is seven hours ahead of GMT. TET, the New Year celebration which is connected to the Chinese Lunar calendar, is Vietnam’s biggest holiday and falls in either January or February. To celebrate, locals take a week off work, decorate their homes with cherry blossom trees hung with envelopes of lucky money and have firework displays. If you’re visiting during TET, be sure to book your hotel in advance and be aware that businesses, including tour companies, transport and restaurants, shut down during the holiday. Vietnam is renowned for its cheap and delicious food, characterised by heavily-seasoned meaty soups and fresh spring rolls, as well as its French-influenced baguettes. Pho, a beef noodle soup, is the most famous dish, while Nom Hua Chuoi, banana-flower salads, is also popular. In the north, try a Banh Mi pork sandwich or some Bun Cha and on the coast, you can enjoy fresh seafood dishes. Eat like the locals in street-side restaurants or markets. Vietnam’s nightlife is concentrated in its cities and beach towns. In Hanoi, you can sip the country’s lager-like draught with locals at Bia Hoi corner, while clubs and bars open till late in the Pham Ngu Lao district in Ho Chi Minh City. Beach hotspots Nha Trang and Danang both have lively nightlife, with modern clubs and waterfront bars. There’s a more laid-back beach bar scene on the island of Phu Quoc.